I’ve never been more excited, or more scared, of anything in my entire life. Schneider is best known for the iconic role of Bo Duke on The Dukes of Hazzard, as well as CW’s Smallville and his current series, Tyler Perry's The Haves and the Have Nots on OWN. In addition to his extensive acting career, John is a celebrated country music artist with 10 albums to his credits and 4 #1 singles on the Billboard Country chart. 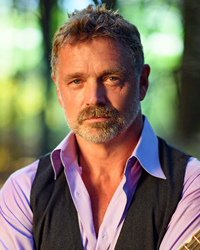 For more information, visit the all-new official John Schneider website at http://www.JohnSchneiderStudios.com.